A large demonstration on Wednesday shows that Afghans are united in their anger against both insurgents, and their own government. Kabul witnessed unprecedented protests on Wednesday, when thousands of demonstrators marched to the presidential palace protesting against the brutal killing of seven Hazaras in Zabul province. Braving rain and cold, people angrily demonstrated for hours, demanding the resignation of President Ashraf Ghani’s government for its failure to protect ethnic minorities from insurgent groups. Though predominantly a Hazara crowd, many from other ethnic groups also joined the demonstration. This makes it a rather unique protest, where ordinary Afghans are rising above ethnic and sectarian divides, expressing their collective anguish at the deteriorating security situation in the country. In March this year, a similar nationalistic outpouring of emotion was witnessed when hundreds took to the streets protesting the killing of a young woman, Farkhunda, who had been burned to death in the heart of Kabul on the false charge of burning the Quran. The killing of the seven Hazaras is also symptomatic of the rising profile of a relatively new actor in Afghanistan: the Islamic State of Iraq and Syria (ISIS). According to various news reports, the anger on Wednesday was related to the killing of seven people who were taken hostage last month by the group. They were killed by having their throats slit by ISIS forces in the southern province. Zabul has seen an increase in internecine conflict among Taliban groups and fighting between different insurgent movements. However, no group has claimed responsibility for the attack. The protest took a violent turn in the afternoon after the Afghan government refused to meet the protestors. Some demonstrators tried to scale the wall of the presidential palace and security forces had to resort to their firearms to repel them. Seven people were injured as a result. The collective anger will hopefully force Ghani to address the nation. The Afghan government will need to demonstrate a serious commitment to combating the insurgents. 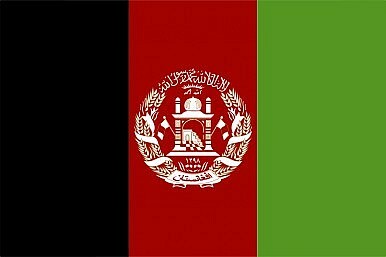 However, above all, the midweek march in Kabul and other cities in Afghanistan symbolizes the Afghan people’s growing frustration with the government, which they feel is not doing enough to contain the insurgent groups. Insurgent groups have long stoked sectarian conflict in Afghanistan. During the bloody civil war following the Soviet Union’s retreat from Afghanistan in 1989, there was an especially bitter ethnic conflict between the Shia Hazara and Sunni Pashtun groups in the country. Leaving this painful history behind, members of all communities have now united to condemn the barbaric killings. A new pan-Afghan identity was on full display on the streets of Kabul, a city that has previously seen many sectarian killings. “People who participated in the march were thinking like Afghans, regardless of ethnic or religious affiliation. You didn’t get the sense that the anger of a particular sect was marching on the streets of Kabul, it was a collective anguish of the nation which was on display on Wednesday,” says Shershah Nawabi, a Kabul-based journalist who covered the event on November 11. Afghans showed the same defiant mood against the Taliban and other extremist forces in the first round of presidential elections in April, when large number of people turned up to vote despite the threat from armed groups. You could not have missed the patriotic feeling had you been present in Afghanistan on that day. What was visible was a collective urge to write a new destiny for the nation. The post-Taliban phase in Afghanistan has given birth to a new sort of patriotism in Afghanistan. The message is clear: war and terrorism have affected all Afghans equally. Crisis has united the nation. It was this unity that was on display on the street of Kabul on Wednesday. Only a united Afghanistan can face the danger of extremism and terrorism. Just How Many ISIS Fighters Are There in Afghanistan? Estimates from Moscow’s special envoy to Kabul are a constantly changing thing.